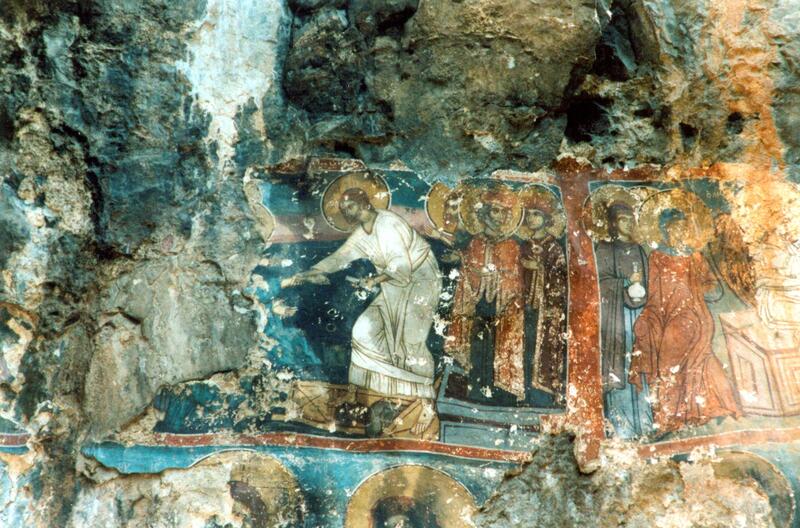 This cave church dedicated to St. Nicholas is located оn a cliff on the shore of Lake Ohrid on the outer edge of Mount Galičica near the village of Ljubaništa and just a short boat ride from monastery church at Zaum, Holy Mother of God (Sveta Bogorodica Zahumska, Света Богородица). 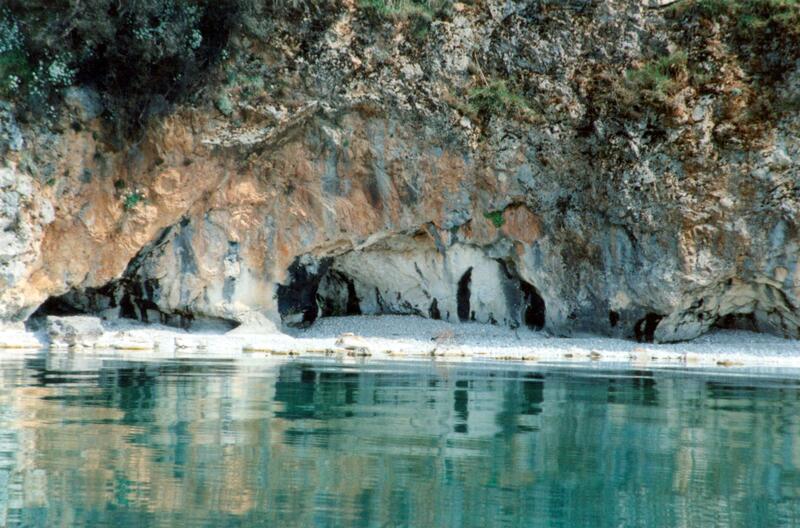 The only way to reach and view this church is by boat. 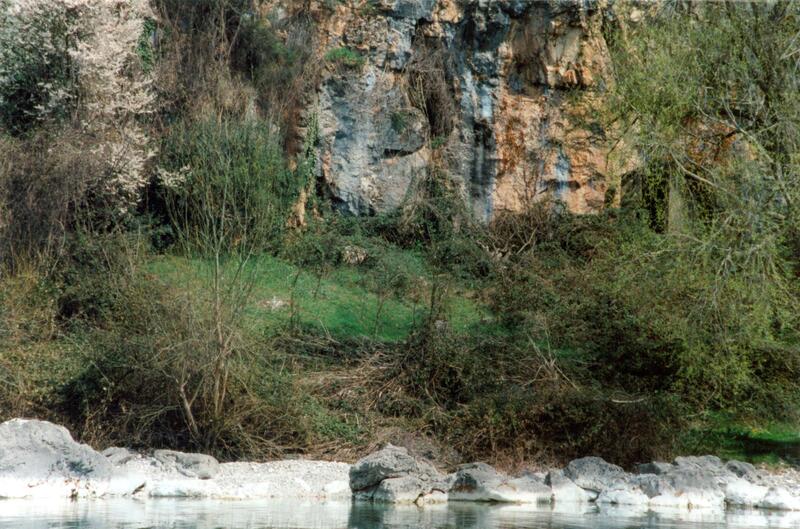 We found a gentleman with his boat parked near the St. Naum Monastery willing to give us a ride and serve as a personal guide to this church and to the St. Mary Monastery at Zaum. 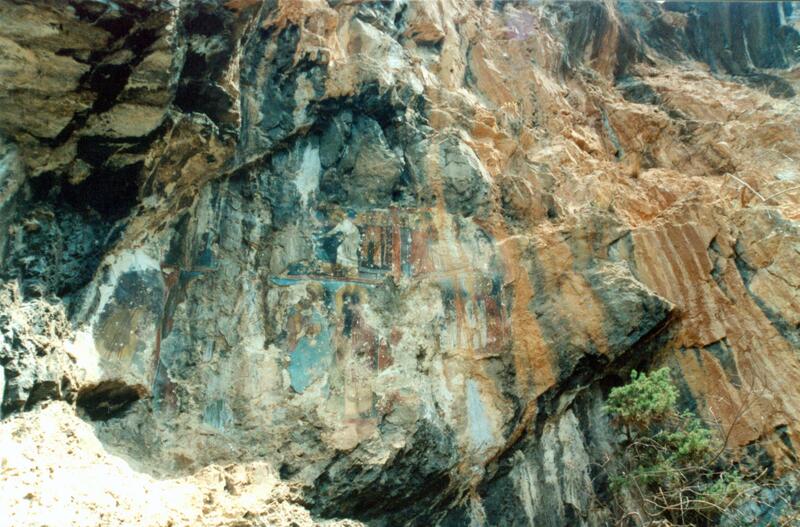 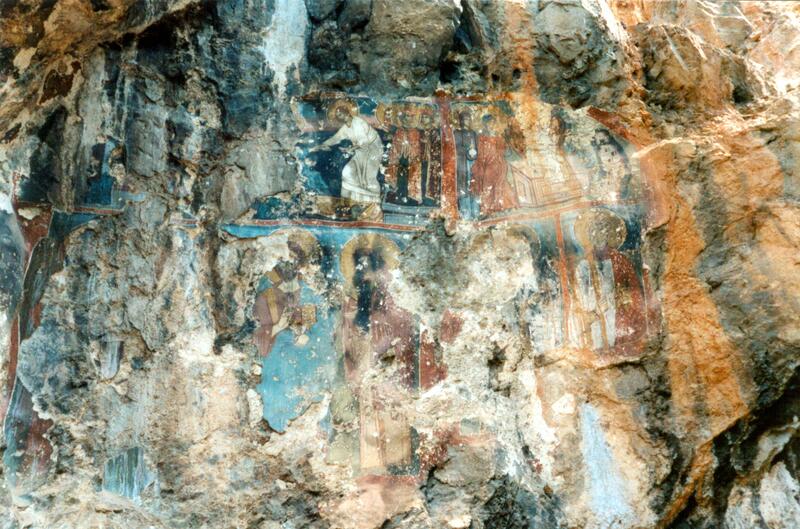 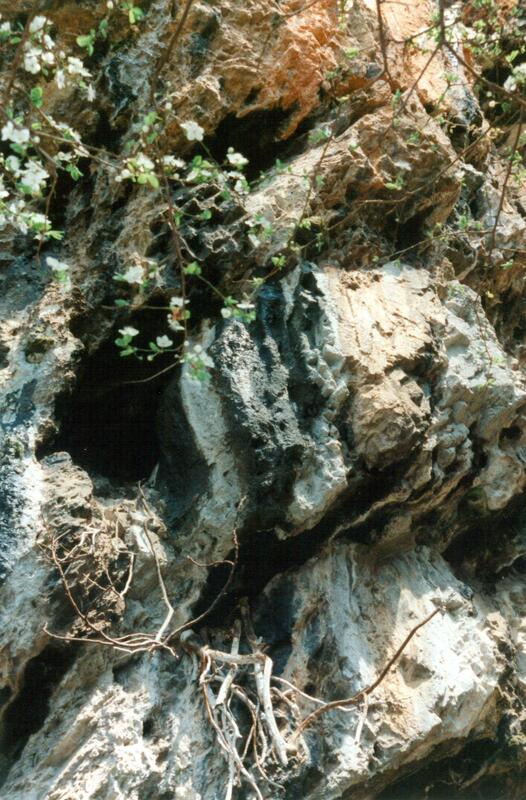 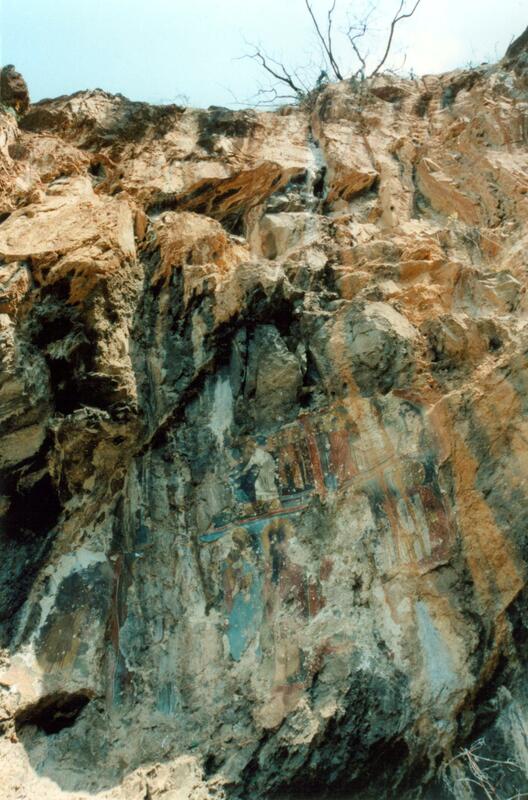 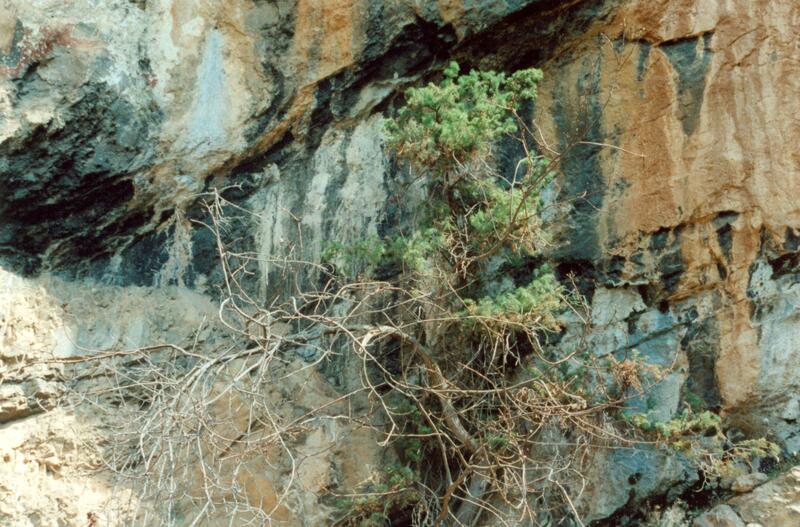 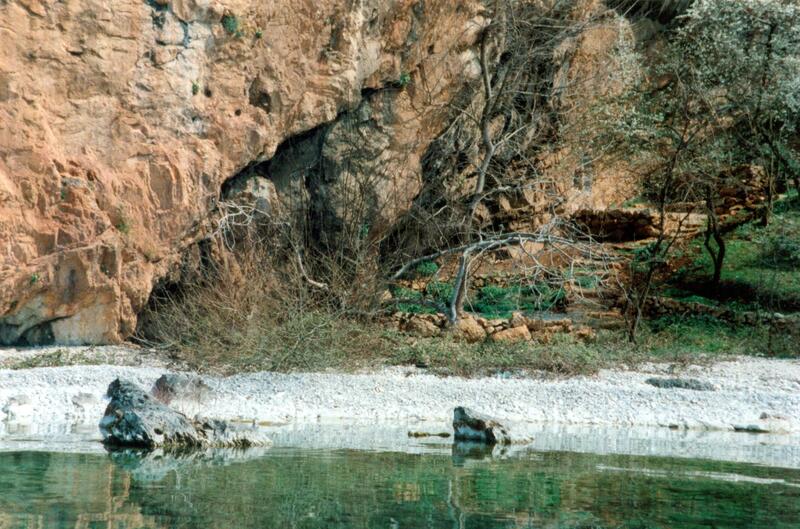 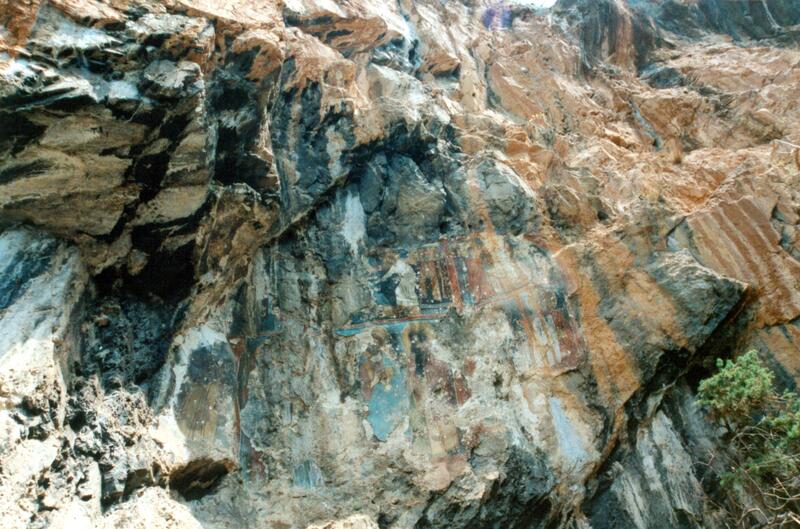 What strikes you about the fresco painted on the wall of the cliff are the still today very bright red and blue colors.